It has been more than HOT here in Seattle. 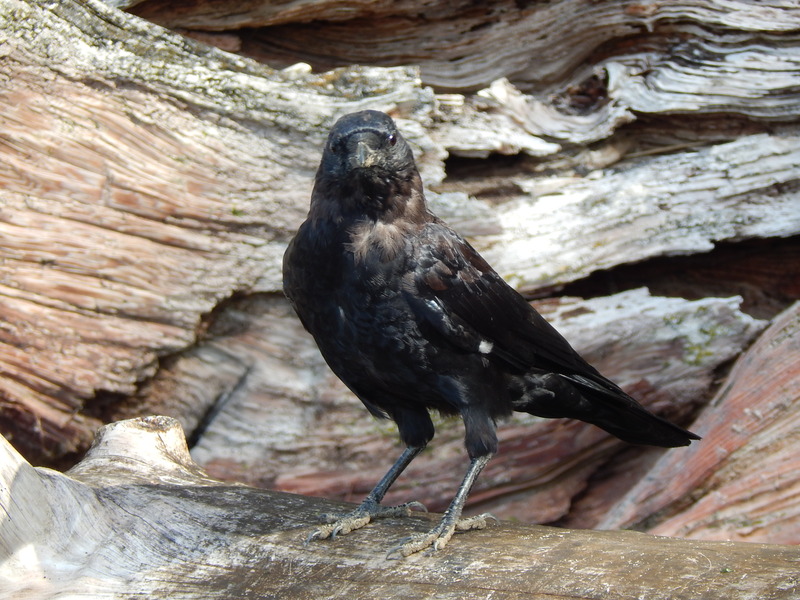 All of us Northwesterners including the local crows have been feeling a little frumpy. In my walks around the neighborhood the local murder was not to be found. I worried that the heat had been their demise. The less dramatic me figured they were holing up somewhere cooler; the beach, the Renton valley, or just the madrona trees on the bluff over the sound. Then this weekend the weather finally changed and as I walked to the beach there they were in force. 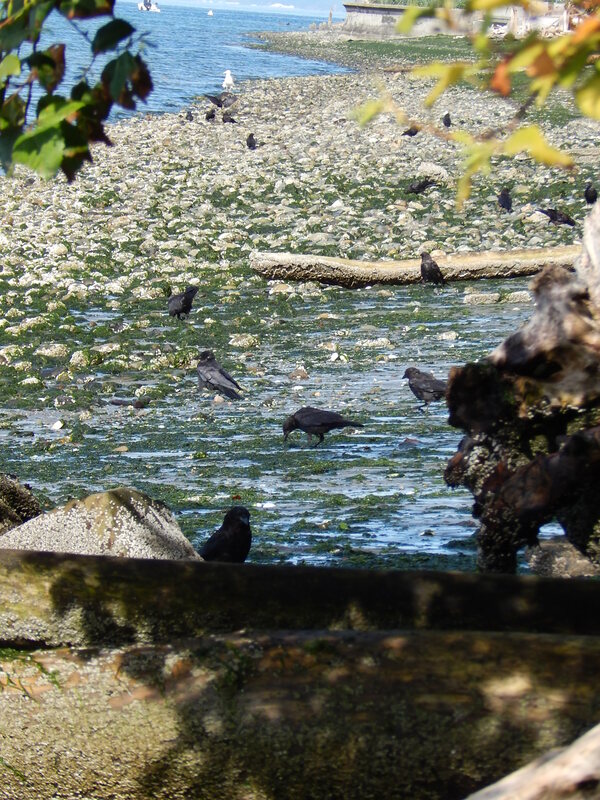 I counted over 30 of them at the hairpin corner of Marine View Drive and 35th Ave SW. Relief flooded me as I fed them a pile of peanuts. Down on the beach they were going about their business. I felt silly being worried about them. What was I thinking? That brings me to their appearance. They look like they have been put through the ringer. 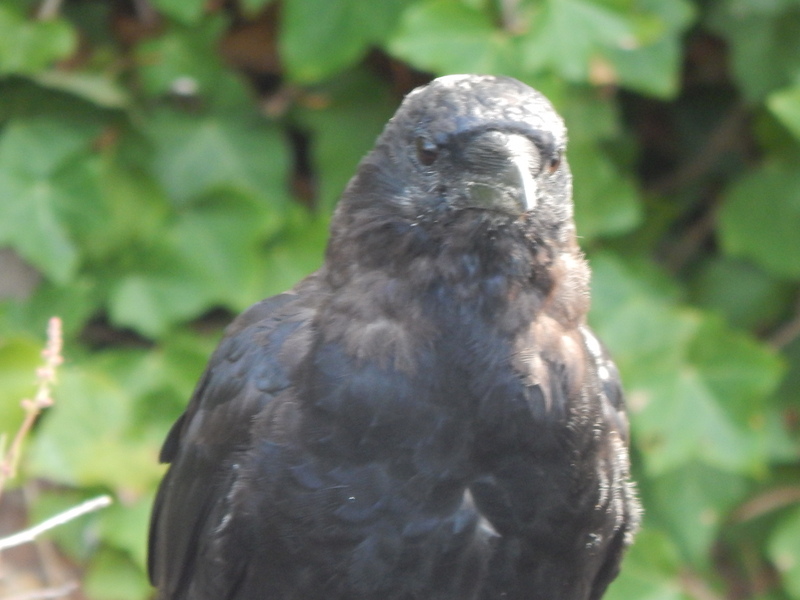 Tis the season for molting and the hot weather has added to this shedding of feathers for a new shiny black coat. I equate this annual transformation kind of like getting new clothes for the first day of school. Fall tradition at it’s best but the heat aggravated it. I leave you with a head shot of one my black friends. He is not only molting but has a dirty bill from poking around in the sand. Nothing like a dusty dirty birdie. What you looking at? You would be frumpy too after this hot dry weather!